Item # 315799 Stash Points: 2,995 (?) This is the number of points you get in The Zumiez Stash for purchasing this item. Stash points are redeemable for exclusive rewards only available to Zumiez Stash members. To redeem your points check out the rewards catalog on thestash.zumiez.com. 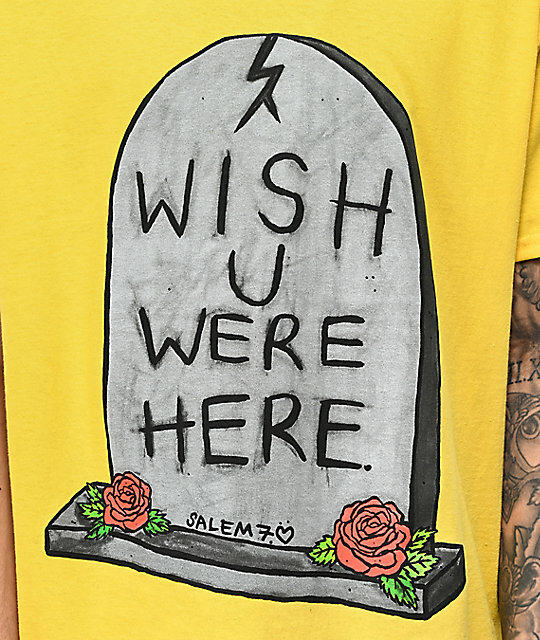 Offering a sunny disposition with a subtle dark sense of nature, Salem7 strikes again with the brand new Wish U Were Here Yellow T-Shirt. 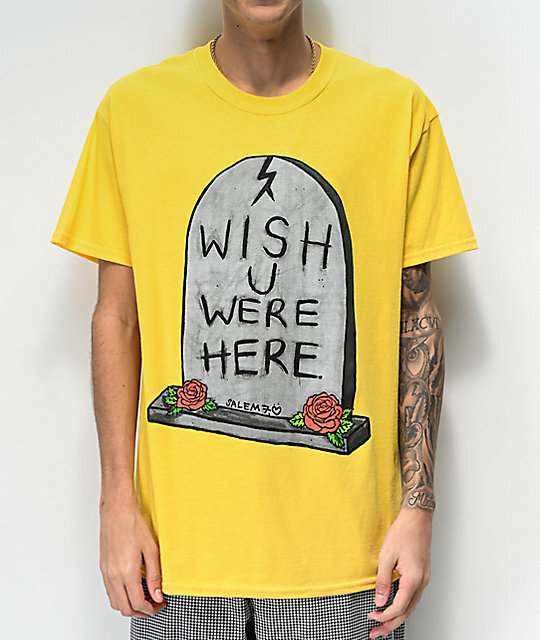 This bright garment was made from a soft cotton construction and features a large graphic of a tombstone with the words "Wish U Were Here" etched upon its front. Wish U Were Here Yellow T-Shirt from Salem7.